We have more than 30 years of experience in the information technology industry and pride ourselves on our ability to provide cost effective, high quality solutions. We can customize your solutions to meet the growing demands of your business. Onward Integrated Solutions provides full maintenance and support of life safety (nurse call) systems packaged to meet your needs and budget. Ensuring your team and those you care for can use the technology at their fingertips to remain safe and supported is of the utmost importance to us. Onward Professional Technicians are on-call 24 hours a day, 365 days a year. We understand your business is people, and your business never closes. If you need us, we are as close as a phone call away. Onward can provide assistance on both an as needed on-call basis as well as providing you the option of customized maintenance contracts to support all your technology. Our tiered support maintenance contracts offer you options to select the service that is right for your business needs. Your ability to choose the maintenance contract which offers a minimum 4-hour response time can significantly reduce additional staffing which can be incurred in the event of a nurse call system failure. Our highly skilled technicians are committed to assisting you during such a stressful time. Working in conjunction with the on-site management operations team to create a system that is programmed to meet the continually changing demands of the front-line business. This can encompass alert requirements, and messaging communications. It further ensures your operating systems are updated and patched regularly allowing them to continue to meet the security requirements for these types of servers. Your choice of technology has far reaching effects for who use it. Designed and programmed for your unique business needs, a quality nurse call system, will provide you invaluable information about the overall experience of care and attention being provided. In an already busy environment, your team requires technology that is easy to use…that thinks before they do, providing real time information about the people entrusted to their care. Alerts and information sent to the system will provide your nursing team information in a timely manner allowing them to respond in an efficient way. Peace of mind offered through the effective use of these systems enriches your reputation of being a provider of quality care. As government introduces more standards and legislation in relation to the care of others your business needs to continually adapt. We understand this can feel easily overwhelming with the multitude of other expectations and accountabilities you are already required to produce. We can help you use the technology you already own and rely on each day to build some specific audit/reports and deliverables which can either enhance your current QI program or help you get started in the creation of a one. Whether a new installation, or an area of enhanced functionality of your current system, our knowledgeable Life Safety Solutions Team can help you determine what systems, design and programming will work best to meet the goals of your business. Asking the right questions early on in the design stage and being proactive can help increase efficiencies from the time of the facility opening because you have already determined how you need the system to operate. Technology we support is intuitive, allowing us to update and expand its uses as your needs and requirements change over time. 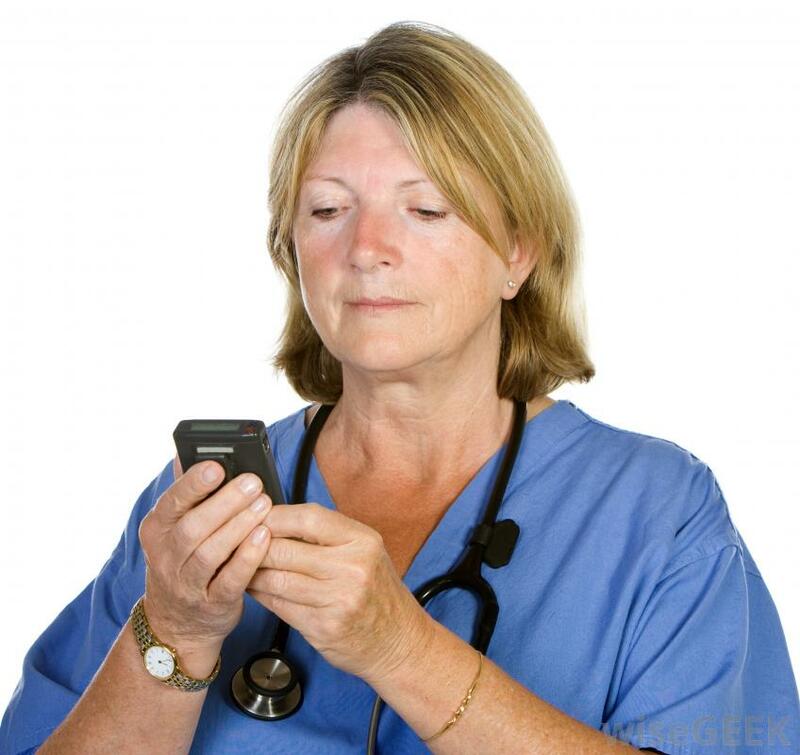 Nurse Call Systems are not just beneficial for front-line staff. We want to help your teams work smarter, not harder. We believe your technology should never be a barrier to your operations, our goal is to think about and continually support and monitor your systems, allowing you to focus on what’s important for your business…YOUR PEOPLE. The importance of off-site nightly back-up is critical to minimize potential system downtime and information loss in the event of a catastrophic hardware failure. Onward understands your data is of the utmost importance to maintaining your operations. Your historical data and reporting metrics are essential to the ongoing quality improvement and efficiencies of your business. We can help manage your business risk by continually protecting your data. We understand your systems are only as good as the training of those who are required to use it. At Onward we are committed to ensuring your team is comfortable with the operation of the system and the technology they use each day. We want to ensure they can use the tools you have selected with every level of confidence that the system is supporting the work they do. We will happily customize a training program, complete with quick reference documents, which fully supports the design and programming you have chosen. Delivered on site by a professional member of the Onward team, we will support the learning process by teaching your team in plain language with examples relatable to the work they do. At Onward, we believe people learn by doing. Our training programs further support staff with real life hands on practical applications conducted in their work environment. Frequency of the training or re-fresh programs can be coordinated as you require. One of the most expensive and crucial components of your building is your Nurse Call System. Your system connects thousands of important alerts each year to your team members. Regardless of the nature of the alert (emergency, locating, door alarm, etc.) there is a significant responsibility to you to ensure the system is functioning as optimally as possible. Don’t think of hiring a project manager as an overhead expense. Introducing a strong project manager can actually help reduce project costs. Your project manager should be able not only to support the technical knowledge of your project but also provide leadership, strategic and business management. Depending on the size and scope of your project studies have shown the correct project manager can save you more than their contract price to you. Contracting project management services helps reduce your risk by choosing to be pro-active. Engaging a firm to look after your interests centrally manages your risks. Continually monitoring project deliverables offers you real time visibility from the beginning through to final delivery. When planning your request for proposal it is important to know the industry and the market in which the proposal is offered. Choosing to have assistance from qualified professionals to complete an RFP can help you understand what is available in the industry and can match those products and services to your needs. This will allow your business to explore what is possible to enhance operations and offer innovative technology. RFP’s are often complicated proposals which require a number of technology solutions to make it successful. Aspects of the RFP could include components such as but not limited to hardware, software, networking, security and programming, these items all need to be able to “talk” to each other to maintain a platform of seamless communication. Whether you are applying for an RFP or creating one for your own business Onward can help you early on to ensure you have the opportunity to get the best product or service. Onward understands managing contractors is more than just hiring them. We are committed to you as the client, managing your best interests, and ensuring the integrity of the work of your projects. Hiring project management services in the early stages can provide the subject matter expertise (SME) your business needs to help manage risk and drive efficiencies. Our SME’s will work with closely with you to determine your needs and project timelines. Upfront planning and cost estimation at crucial to the long-term success of the project. Offer staff confidence within their day to day work knowing that there are discrete Real Time Locating Systems (RTLS) monitoring movement for safety. RTLS provides all users freedom to move about the facility in a non-intrusive manner, yet offers significant benefits to residents in regard to emergency response as staff can locate the resident who needs attendance quickly through the locating capabilities. Wandering systems provide a level of independence to residents. Keeping your residents’ safe within a home like environment provides peace of mind for families who have entrusted the care of their loved one to you. Wander protection works in conjunction with RTLS allowing the facility to customize alerts specifically to manage someone at risk for elopement. Falls are a significant source of hospitalizations experienced by our seniors in Canada. Falls can have far reaching effects impacting our seniors, their families, care providers and the health care system. Attending to residents who have fallen in a timely manner is of the utmost importance to ensure prompt medical care can be provided as soon as possible. Offering residents and families the option to have technologies that can alert clinical staff quickly to the event allows facilities to be more pro-active when a medical event such as a fall occur. Within your environment, expectations on the nursing team to provide excellent care have never been higher. Providing care in the most timely, efficient way will relate to the quality of care you offer as seen by others. Supporting staff working under pressure by offering them a quick and easy way to find equipment critical to their work flow is as easy as installing asset tags. Asset tags work in the same way locating devices work for people. Team members can quickly use their technology to look up the location of the equipment they require, saving valuable time from searching for the tools they need to complete their work. An effective asset management system can also support your business in loss prevention, as your system can be set up to send alerts if specific tagged equipment is ever removed from the building. Seniors living environments have specific goals and requirements which help differentiate their services. Having your building feature the latest technologies in access control, by offering ease of living to your residents can help set you apart. Keyless access and automatic opening control can allow your residents to move more comfortably within the building without worry. This technology offers your business detailed information starting with a simple time stamp logged into the system telling you who is moving where, when. Your ability to monitor your building and your people adds a desirable level of security. Providing your residents an emergency pendant offers an extra layer of security and independence to your residents and peace of mind to families. Using a discrete button (worn as either a necklace or a wristband) these emergency buttons, when pressed alert staff immediately that a resident requires assistance. Onward technicians understand front-line operations in seniors housing and can help customize your alerts to provide the most valuable information to your teams. Increasing demands and expectations to manage significant care loads can easily make your team members feel they are in at-risk situations. Whatever their work environment, we want to help you ensure your team members always feel safe and secure in their work area. Providing staff their own personal emergency call device (Fob/phone) offers a level of confidence and support knowing they can call for assistance from their colleagues at the touch of a button. Showing your team, you care about their safety and well-being allows them to focus on what they do best – providing exceptional care to those who need it. 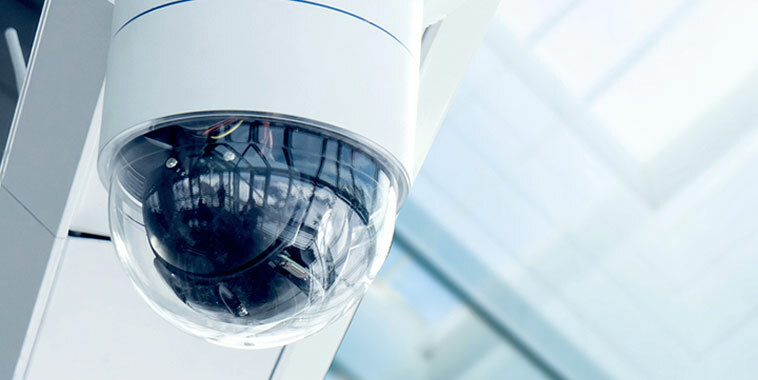 Deciding to protect your business with a video surveillance system may be one of the most important decisions you can make for operations. Video surveillance is not just about knowing who comes and goes. An effective system design can provide a significant amount of additional benefits that can be realized such as; loss prevention, visual proof of situations to prevent potential legal action, and providing a safer work/living environment for everyone. These systems can provide further insight into general business operations and adherence to company policies and procedures. If you are looking for the most safe and secure way to protect your business access control systems provide a customized level of protection for your operations. These systems give you immediate access to safeguard your business because you never have to worry about keys again. Onward professional technicians can help ensure you have the security you need when you need it. Your systems integrate and connect thousands of important alerts each year to your team members. Regardless of the nature of the alert (emergency, locating, door alarm, etc.) there is a significant responsibility to you to ensure the system is functioning as optimally as possible. Selecting the correct security system to meet your needs and budget is important to help manage your business risks. Starting with the best system for your needs will help support all other decisions around your integrated technology and can help to reduce your risk from the day you turn it on. As an integral part of team communication your phone system should be selected not only for its user features but also its ability to “talk” to the other systems in your building and function seamlessly in the back ground. We can help you select a system that can provide you the services and options you need to best manage your operations for office and front-line team members. Pagers can provide another level of reliability to your communication systems. This technology, if used properly offers exceptional back-up capabilities to support your clinical team. Use of paging systems for your business can become an effective communication tool, instantly reaching large groups at one time. Using technology to help you increase efficiencies and provide greater safety and security Onward can configure your systems to send messages to areas you need them according to your operations.